“Groovy Times: The New Old South” by Lance Smith is a hilarious dark comedy about a father and son. Sixty-plus year old Dax and his son Trip have had enough misadventures with the local women. Deciding to look outside of Tybee Island aka, the Island of the Damned for fresh blood, they import Irena who is a beauty from Ukraine and Millicent who is a mid-western American. While they have high hopes for some “groovy times,” the duo quickly finds that these two ladies are a challenge. Fortunately, they are not as bad as the last two women in their lives however, when the former suddenly make an appearance, things get really complicated, and very entertaining for the reader. Unfortunately for Trip, his dad is having a lot more fun than he is, however, there are some lessons to be learned here and Trip is learning them. If what he learns actually sticks, is another story. “Groovy Times” is a very fast-paced read, even though it is almost four hundred pages. The dialog is witty and full of southern style banter that kept me laughing aloud. The author does an excellent job of bringing the eccentric characters to life, whether it be the main protagonists or side characters like Bubba, or the ex Charlene, who is a community college reject that was voted ”Tybee’s Black Out Drunk” of the year. Characters like these add dimension to help round out the story. The background is well developed so readers understand why there is some friction between father and son. It goes well beyond their competition of the women. This dark comedy is sure to be enjoyed by readers who do not offend easily. Fortunately, I do not offend easily! 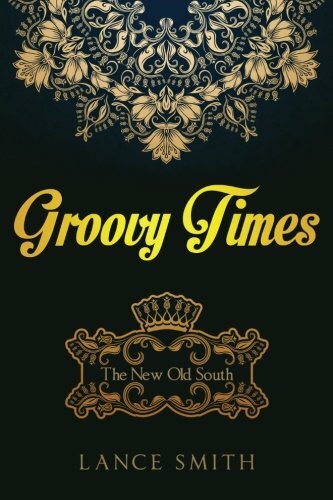 I think “Groovy Times: The New Old South” by Lance Smith would also make a great gift for someone who is either about to be snowed in, or is going to be spending some time relaxing on a beach. It is the perfect reading treat for a getaway, because it is pure entertainment. I am also looking into the author’s other literary creations because I really enjoy his talent for writing and I suspect that even if the genres are different, I will not be disappointed.